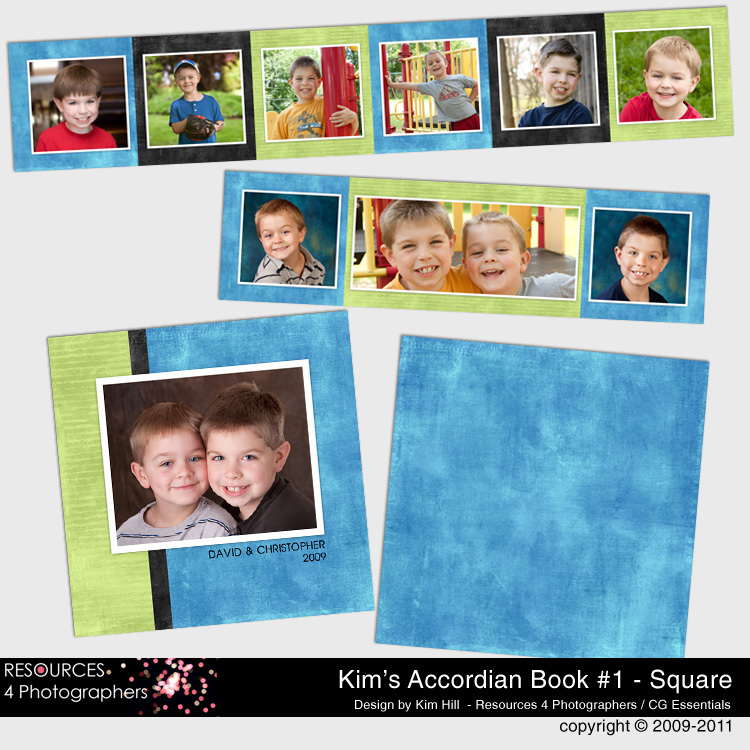 First up are two accordian book template sets. These are the 3-inch square ones with a custom cover. You can simply drag and drop your photos into place, clip them to the photo mask, and then flatten to a JPG for printing. Instructions and lab specs are included. Get the pink & brown set HERE, get the blue/green and black set HERE. Next, I’ve put together a marketing promo and rep card template sets for Valentine’s Day mini sessions. It’s not too late to get this going. You can modify the text on the marketing card and drop in a photo of your choice, then simply email it to your client list. Pick up the coordinating rep cards and you can offer your clients personalized valentine’s day cards for their children to give to friends. How cool is that?! Get the marketing card HERE and get the mini valentine cards as a complimentary bonus!!! Both template sets include clipping masks and instructions on how to put them together. There are a lot of other goodies in the shop, including website splash pages, decorative borders for your storyboards or albums, digital information trifold card, lots of storyboard templates, and so much more. To see the entire inventory, visit my section of the shop at Resources 4 Photographers, sold exclusively at A Cherry on Top. This entry was posted in Photography - General, Resources 4 Photographers and tagged accordian album template, accordian book template, photographer template, photographer tools, Resources 4 Photographers, valentine card template, valentine marketing card, valentine referral card. Bookmark the permalink.